The Articles of Confederation have been denounced for so long that no one bothers to denounce them anymore. Almost every American and almost every single person around the world who studies American history at any level considers the Articles a failure. The failure of the Articles is as sure as the sun rising tomorrow. It’s just an accepted “truism” that they did not work and that we Americans needed something to replace them. Even those who take seriously the criticisms of the Constitution by the anti-Federalists typically believe the Articles a disaster. A close examination, however, reveals that Articles were quite successful at several things, including: 1) keeping the peace (overall); 2) securing as well as keeping our independence; and 3) passing the most powerful piece of legislation in the history of republics, The Northwest Ordinance. As to the first claim, historians often dismiss this by citing Daniel Shays and his uprising as a clear example of the failure of the Articles. If we do, however, we must state the exact same thing about the U.S. Constitution and its “failure” to prevent South Carolina from seceding in late 1860. Shays, however, did not want to secede. He merely wanted to get the government to take the demands of western Massachusetts farmers seriously. That he did so through violence was nothing new or exceptional. One might even readily argue that such a course had always been the course of last resort under the English Common Law. That we remember the Articles poorly has far more to do with the ultimate success—in and out of the academy—of American nationalists than it does with actual failure or success of the Articles themselves. John Dickinson authored the first draft of the Articles, almost immediately following Richard Henry Lee’s resolution calling for independence. As Jefferson and Adams went off to write the Declaration, Dickinson did the same with the Articles. After nearly a month, Dickinson had competed his draft, and Congress then went to work revising and editing them. Per Dickinson’s draft, three questions needed asking and answering. First, how would the new Congress count votes, by state population or one vote per state? Second, would the new Congress tax individual property holders directly, or would it instead call for levies on a state-by-state basis? Third, what should the country do as a whole with the western lands, considering the overlapping claims upon them? Just as these three questions hung over Dickinson’s initial draft, three things must be noted about the final version. First, as to each question asked, state sovereignty won. The delegates from each state even went so far as to refer to the delegates from another state as an “embassy.” Second, while the states had individually argued over the power given to each state in each state’s own constitutional convention, almost no one argued for the federal government to have much power during the debates over the Articles. As historian Gordon Wood has explained: “Yet in marked contrast to the rich and exciting public explorations of political theory accompanying the formation of the state constitutions, there was little discussion of the plans for a central government. Whatever feelings of American nationalism existed in 1776, they paled before people’s loyalties to their separate states.” [Wood, The American Revolution: A History, 70]. 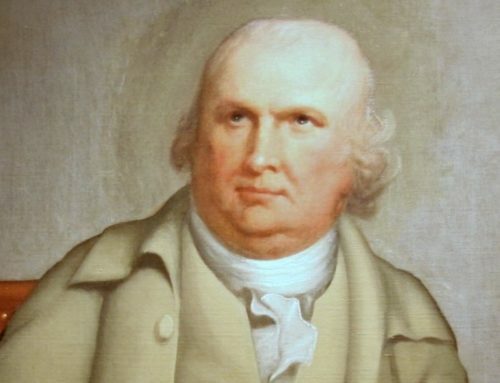 Third, the signers of the Articles represented an incredibly impressive array of revolutionary talent, including Sam Adams, Daniel Carroll, Elbridge Gerry, John Hancock, Henry Laurens, Richard Henry Lee, Thomas McKean, Gouverneur Morris, Robert Morris, Roger Sherman, and John Witherspoon. 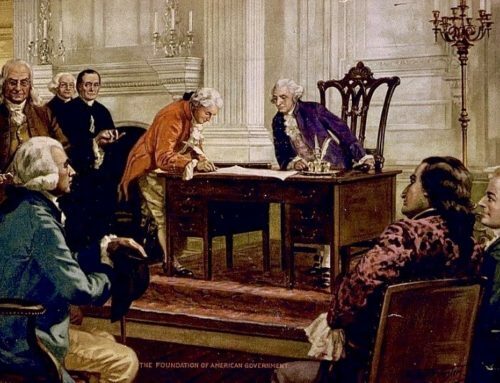 As each of the states had to approve the Articles for it to go into effect, it would not be officially recognized as the reigning law of the land until Maryland, the last state to do so, signed it in 1781. More than anything else, Maryland had waited so long as it was unhappy with the direction of the western land claims that the country as a whole was taking. This issue would remain a sticking point for Maryland for years to come. Still, it would be wrong to assume that the Articles were only in effect after Maryland ratified. From 1777 on, the Articles served as a de facto constitution with the members of Congress presuming it the law of the land, even if waiting for final approval. Even a cursory glance at the Articles as finally ratified reveals why the American nationalists would despise it so much. Article II: Each state retains its sovereignty, freedom, and independence, and every power, jurisdiction, and right, which is not by this Confederation expressly delegated to the United States, in Congress assembled. Article III: The said States hereby severally enter into a firm league of friendship with each other, for their common defense, the security of their liberties, and their mutual and general welfare, binding themselves to assist each other, against all force offered to, or attacks made upon them, or any of them, on account of religion, sovereignty, trade, or any other pretense whatever. With these two Articles alone, the United States far more resembles a United Nations than it does a united nation. And, again, the fact that they referred to each other as “embassies” is telling as well. Of course, I certainly do not want to suggest—or even give the impression—that the Articles were perfect or that life under the Articles was perfect. They were not, and it was not. Yet, the case if not nearly as bad as history and historians have deemed it to be. The Constitution has had its own set of problems. If the Articles allowed for too much de-centralization, the Constitution has allowed for too much separation. If the Articles failed to separate powers broadly enough, the Constitution is equally to blame. If the Articles did not prevent an uprising, the Constitution has done even worse. As I write this, the chief threat to our liberties and dignities as a people is from Article II of the Constitution. Had the executive power under the Articles expanded in a similar fashion, Congress would have restricted it immediately. As it is, under the Constitution, the legislative branch has behaved in an utterly cowardly fashion, allowing the president to behave as Caesar and dictator. Yes, the Articles had problems, but the Constitution has had more. Under the Articles, we defeated the greatest empire in the world, we maintained stability (and unity) at home, and we passed the greatest law ever passed in a republic, the Old Northwest Ordinance, with its pro-Indian, anti-slavery, pro-Common Law, and anti-imperial provisions. Not bad for a brand-new republic. Indeed, not bad for any government, anywhere or anytime. I’ll give the Articles three cheers, any day of the week. I have said in these parts before that I’m in favor of returning to the Articles and simply making DC a museum. One highlight of the museum could be a life size animated robot of Pelosi in the House saying, “But we have to pass the bill so you can find out what is in it….” It would be, I think, a fitting end to the regime found in the penumbras and emanations. I think absent a strong Christian influence in society the Constitution simply will not work but rather lay the foundation for an empire. Madison understood this if you could find whatever one wished in the “General Welfare” clause. Yeah, I am disappointed that we moved away from the Confederation. I feel the Articles of Confederation better captured the independent spirit that freed us from tyranny.